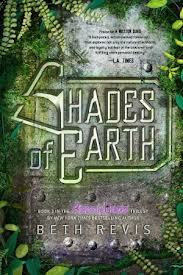 Beth Revis‘ released SHADES OF EARTH this week. Her final book in an incredible trilogy. And due to her amazing pre-order sales, as promised, Penguin sent SHADES OF EARTH into space! Check out the Entertainment Weekly video clip here. Beth’s got more incredibleness up her sleeve. But that’s all still super secret stuff right now. Debbie Ridpath Ohi announced the next book she will be illustrating with Michael Black called NAKED. Oh what a title! I can’t wait to see how this book comes out. Here’s the Entertainment Weekly announcement. Many of you are familiar with I’M BORED, her last project that she worked with him on and received that won the Notable Children’s Book Award for 2012 . Carmella Van Vleet also announced her first middle grade book sale of ELIZA BING IS NOT A BIG FAT QUITTER to Holiday House. This is such a great book and the main character takes a taekwondo class. As soon as the pre-order link is up on Amazon, you’ll be the first to know. 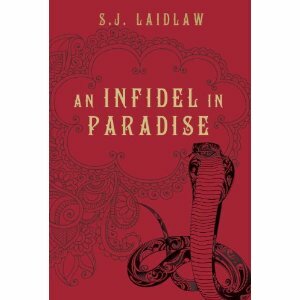 Finally, Susan Laidlaw’s YA, INFIDEL IN PARADISE, will be launched into the world in less than a month! I can hardly believe it. If you haven’t preordered it, do so here. So as you can see, lots of amazingness all around. I’m thrilled to be working with such an amazing and talented group of writers. 6 Responses to Congratulations to My Crit Partners! Wow! What an amazing critique group! Congratulations to all of you!! Wow! That is a bunch of amazingness!! 🙂 What a group you have! So happy for Beth … she’s wonderful! what a group! Congrats to all! So much great news all in one place! Congrats to all.